Festival Makers – Chatsworth Road Festival. 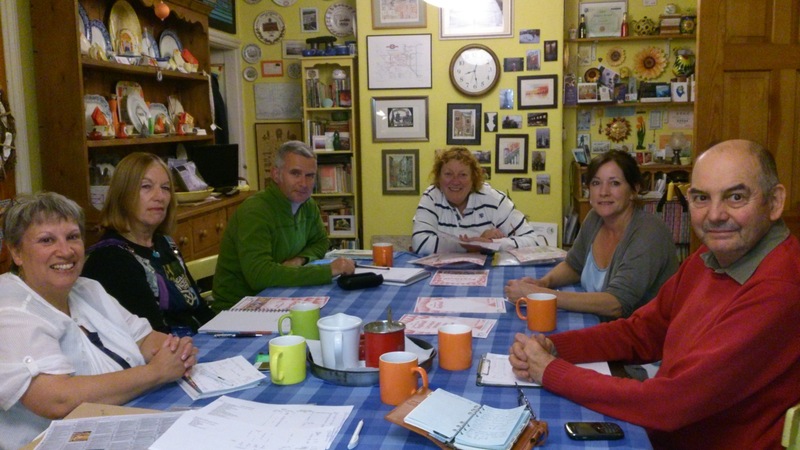 Fired up with tea and coffee, the Chatsworth Road Festival Group prepare for this year’s festival. The Chatsworth Road Festival is the work of a large group of people who are all volunteers. They are some of the people who live and/or work around Chatsworth Road. They value it’s unique feel, it’s friendliness and the variety of things to do along the road. Each year we celebrate living and working along Chatsworth Road. And a few people put in a lot of work to make it happen. Thank you. And if you would like to be a Festival Maker next year, get in touch – planning starts soon for 2015. 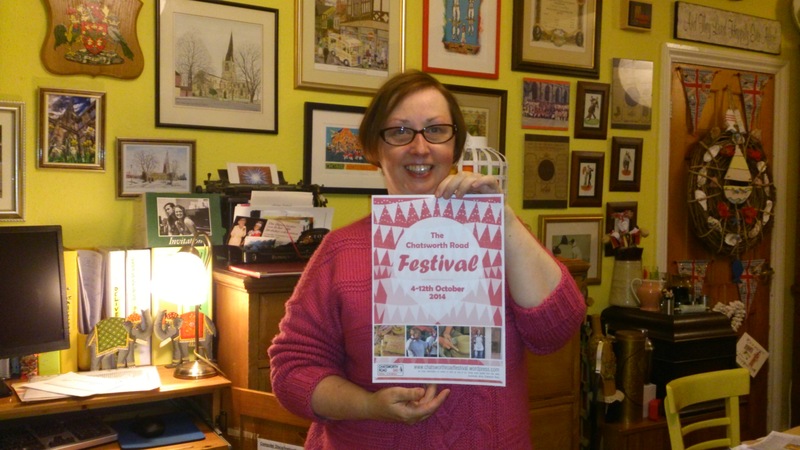 Deirdre Gage, chair of the Festival Group holds up this year’s festival poster.